Commonly known as Catnip, nepeta cataria is a strongly aromatic member of the mint family, and so comes under the classification of a herb. When growing catnip from seed, it is important to note that it grows well in USDA zones 5 - 9, and is perennial, dying back in the winter for a period of dormancy, and sprouting again in the spring. Like the mint, care has to be taken so that the catnip herb does not crowd out the other plants in your garden. It can become almost a noxious weed in some areas. The mints spread their underground roots and pop up new sprouts all over the place, so it might be advisable to grow your catnip in a large pot buried up to its neck in soil, else keep it on the terrace in a container, if you don't want an entire catnip garden. It can be grown inside your house all year round, but it will likely die in the winter as they need a cold dormancy period and in most houses they are not likely to get that. They would in mine but that's another story! While there are several different varieties of catnip, the best catnip for growing for your cats is nepeta cataria. First obtain some catnip seed. They can be bought in most garden stores, else ordered here online. 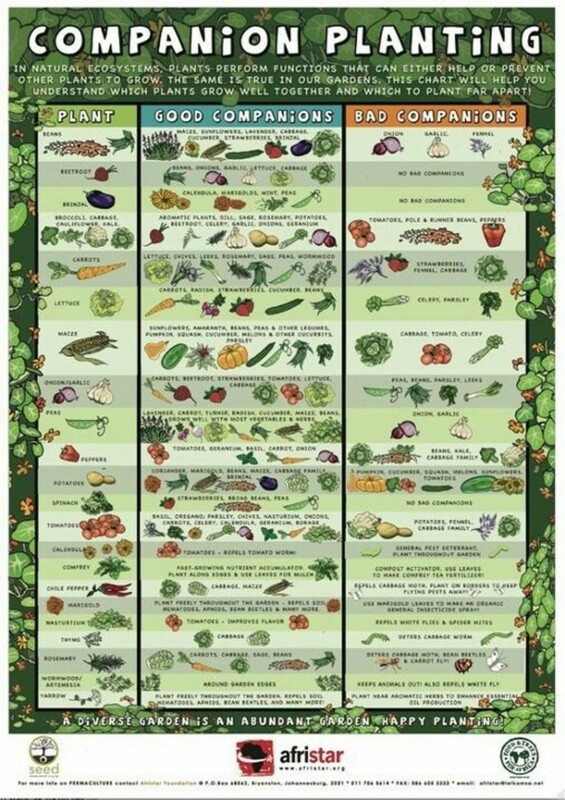 Perhaps you have a friend or neighbour who grows it who would be prepared to give you a rooted offshoot or some seeds from their plants? Plant your catnip seed just under the surface of a compost-filled pot and water well. Keep warm but out of direct sunlight. When the seedlings appear, 2 to 3 weeks later, either thin out the weakest and only plant on the strongest looking ones, else plant them all on into individual pots. Do not do this before the second set of leaves appear (the first 'true' leaves). Catnip plants like a lot of water when growing, so you may have to water them twice a day. When all risk of frost has passed, plant them out in the garden, about 18" apart. They tolerate sun through to semi-shade, but if you live in a warm climate they might be better off in the shadier parts of the garden. They like neutral to slightly alkaline, well-drained soils. They can tolerate drought quite well once they are established. Fully mature, they can reach 3' in height. Catnip plants are not usually attacked by anything except cats who go wild for them. Even if you don't have any cats, don't be surprised to see all your neighbourhood cats paying your garden visits for a quick roll on your catnip plants! Organic catnip is therefore your best bet to buy, as the seeds don't need to be pre-treated to conserve them. Catnip is one of the plants commonly used by herbalists to assist a wide variety of conditions. Dried and made into a tea by soaking one teaspoon dried catnip for a child, or two teaspoons for an adult in a cup of boiled water, it is said to relieve colic in babies (where the tea can be mixed with infant milk) and digestion problems in children and adults. This tea is also drank as a relaxant at bedtime, or to soothe coughs. 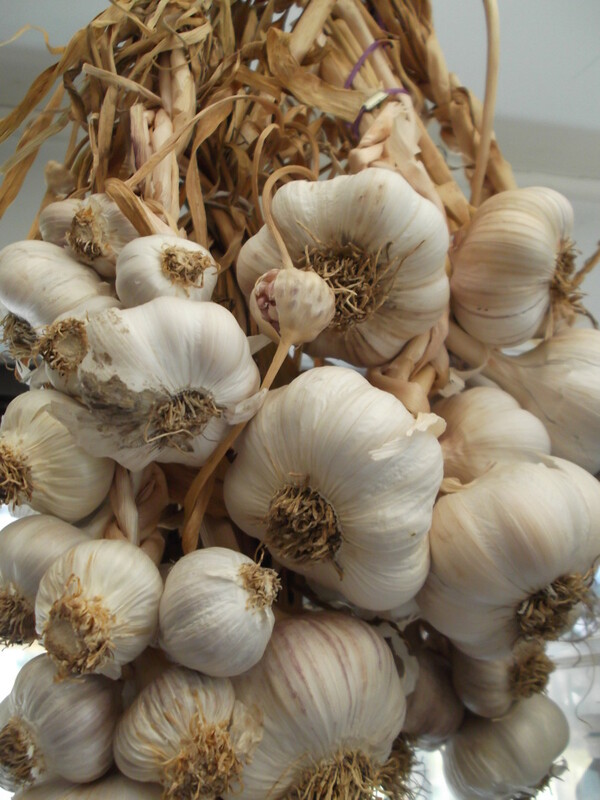 It is also said to regulate the menstrual cycle in women and reduce dysmenorrhoea. 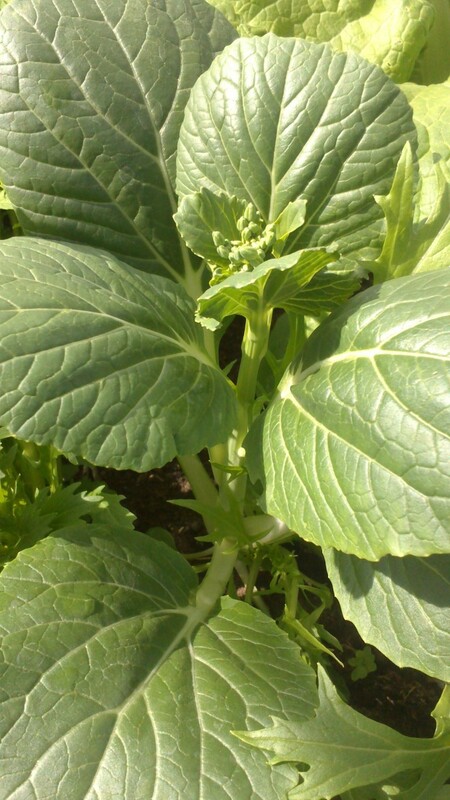 The leaves are said to relieve toothache when chewed. The oils in the plants (which can be released by crushing) are said to be good for cleaning wounds. Its other claims to fame are as an anaesthetic, antibiotic, anti-rheumatic, antispasmodic, astringent, diuretic, relieves muscular aches and pains, and haemorrhoids. 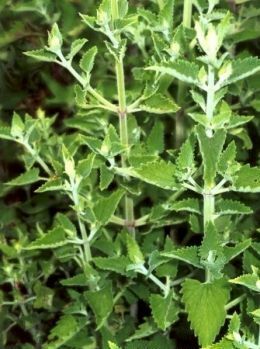 Smoking catmint is another method of taking the dried plant for medicinal use. The catmint is a distant cousin of marijuana, and can cause a mild hallucinogenic effect on some humans as well as cats. There is some physical similarities between these two plants as you can see from these pictures below. 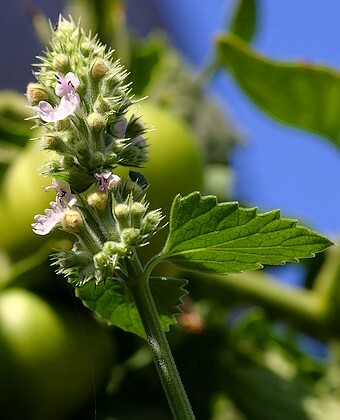 Catnip is reported to deter insects better than DEET. As a regular user of DEET, I have yet to try this as mosquito repellent, but I intend to try this summer because mosquitoes just love me! If I forget to close a window at nighttime, I'll wake up covered in bites. If I go out to the garden without my DEET spray on, I get bitten half to death! DEET is expensive and catnip is free after the initial cost of buying the seed, so I'm definitely going to try catnip. It supposedly also deters cockroaches and many other horrible insects that invade houses in warmer climates. Wait until your growing catnip plant is at least 5" tall, and cut the whole stem off at the base. Collect several such stems, complete with leaves and flowers. Tie together with twine or string. Hang upside down in a warm, dry but ventilated area. Depending on how warm and dry, expect your catnip to be completely dry within 6 - 8 weeks. Rub between fingers to break the leaves and flowers into little pieces. Store in a sealed airtight container. What better present could you give your cat! While it is rolling on the catnip it is leaving all your other plants alone. You could even start a cottage industry, making dried catnip balls and organic catnip toys for all your neighbourhood cats. An interesting thing about catnip is that not every cat is attracted to it, although something like 80% are. When a cat finds catnip, it goes mental for about three-quarters of an hour, then it will dismiss it as if it never existed. It's almost as if whatever effect it had, wore off, although a few hours later, your cat will rediscover the joys again. When I say the word CAT, I really do mean all cats, including lions and tigers etc so if you live in a area where they roam free, I do NOT advise growing catnip. For further reading, look at Growing Catnip Grass. That will make a brilliant video and I can't wait to see it :) I can only buy catnip grass here and it is an ugly little plant so I really don't want to grow it. I would love to be able to buy the variety shown above. I shall see this summer, as I am going to try this, and then video record the reactions of the cats...Hopefully, I will hub a documentary with the cats foaming and frolicking as well. This is a great tutorial to start my catnip venture! I plan to plant them all around the house, and in the garden were the neighborhood cats think this where they should do their business. I think it would be interesting to try this as a tea, you only can hallucinate smoking it right...? Last thing I need is an Alice in Wonderland venture right before bed. Wow--My cats thank you for this article! I'm definitely going to try this---but as you suggest--in plantpots. I recall my mother having a mint plant when I was a child, and the thing was bigger than I was! No no I'm growing it first! Actually I think it might be growing wild already locally, it looks awfully familiar! IzzyM, my cats love catnip, but I have never grown my own. You have inspired me to give it a try! Rainbow (the all white queen of a cat) and Milo (Milosavich the Magnificent common grey tabby) thank you.